Essilor launched its open innovation See Change Challenge in 2016 to help improve access to vision care in underserved populations drawing on the collective intelligence of solution providers from diverse backgrounds. From a range of impressive proposals, we’ve selected three finalists who have been invited to produce a prototype of their innovative refractive solution. Over 2.5 billion individuals worldwide are affected by the social and economic consequences of poor vision, and over 90% percent of them live in developing countries where it is difficult to access basic vision care. Our aim when launching the See Change Challenge last year was to uncover low-cost and scalable solutions that can be used to accurately measure eye refractive errors drawing on the multi-disciplinary thinking of a worldwide community of scientific and technical experts. We were really impressed by the depth of innovative thinking of teams for this Challenge. Solution providers from fifteen countries with backgrounds in optical engineering, software development, public health and design submitted proposals that stimulated a lot of lively discussion among our jury and technical experts. Their ideas included apps that run on smartphones, separate devices that work with smartphones and devices that do not require computing power. We’d like to thank all these experts who took time to develop and share with us solutions for this visual health challenge. Up to two of these finalists will be selected to receive an additional €100,000 and potential support in the form of development contracts from Essilor to build and scale their solutions. A special Grand Jury Prize will also be awarded to PlenOptika in the United States for its QuickSee handheld autorefractor unit solution that is already ready to go to market. We are excited that the See Change Challenge has helped us uncover new scalable approaches that can help improve access to primary vision care in underserved communities. 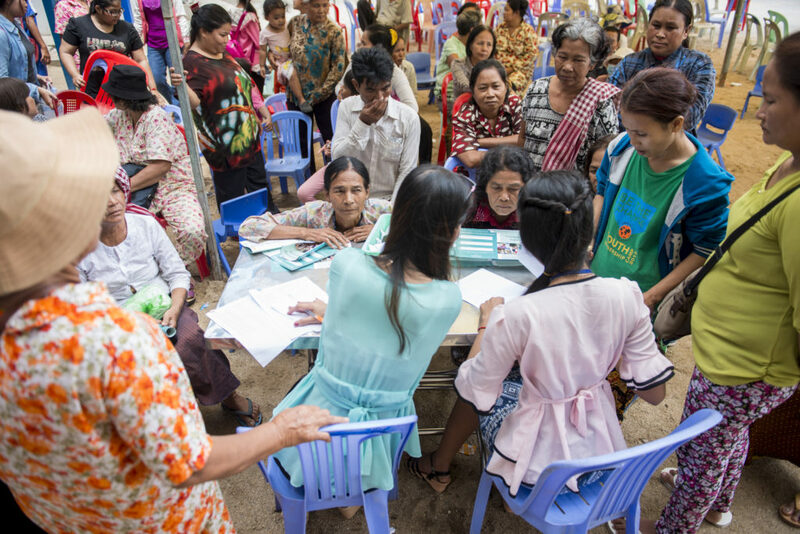 The See Change Challenge is an example of how Essilor explores every avenue within our industry and beyond to address the global health issue of poor vision using a crowdsourcing approach. We believe that low-cost new refraction solutions leveraging new technologies will make it easier to train new eye care workers to perform eye exams and help us in our ambition to scale-up vision care for underserved communities worldwide.